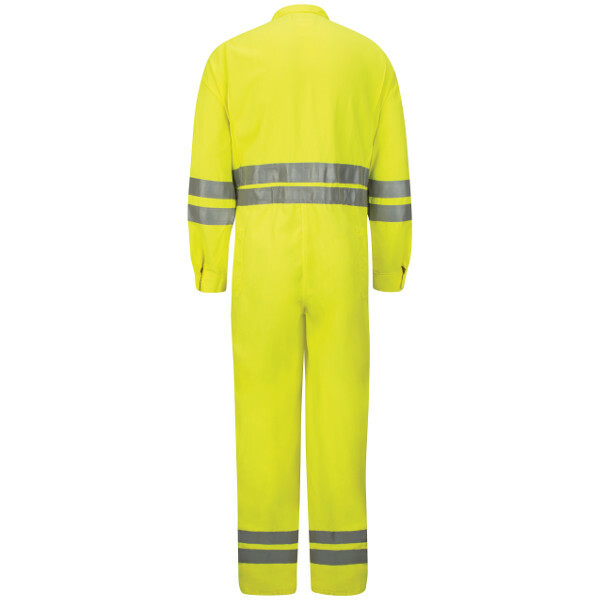 CMD8HV Hi-Vis Deluxe Coverall with Reflective Trim - CoolTouch® 2 - 7 oz. 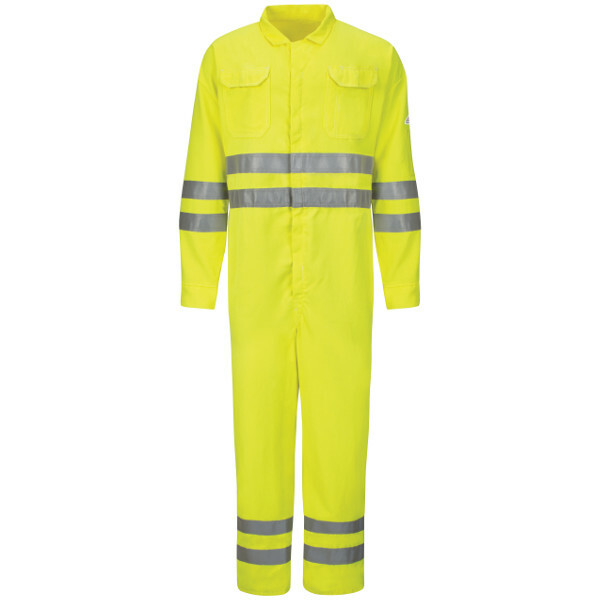 Home > CMD8HV Hi-Vis Deluxe Coverall with Reflective Trim - CoolTouch® 2 - 7 oz. 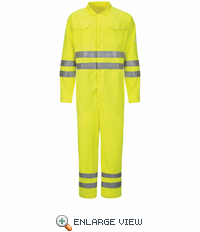 Fabric: Flame-resistant 7 oz. (235 g/m²) 48% Modacrylic / 37% Lyocell / 15% Aramid. Care: Light Soil Home Wash.
ANSI 107-2010 Class 3 Level 2. 360° visibility with front and back with 2" silver reflective striping › One-piece, topstitched, lay-flat collar › One-piece bi-swing action back › Two-way concealed Nomex® taped brass break-away zipper, concealed snap at top of zipper at neck › Concealed snap closure on sleeve cuff › Two, two-needle topstitched patch chest pockets with flaps and concealed snap closure › Two front swing pockets are topstitched and lined › Two patch hip pockets have single concealed snap closure › One sleeve pocket sewn to left bicep with pencil stall › Rule pocket on right leg › Elastic waist inserts in back.